The PLG series continuous plate dryer is a highly efficient and effective piece of drying equipment. The compact structure of the plate dryer not only saves space in your facility but it also helps facilitate the drying process through its high heat distribution with minimal energy consumption. 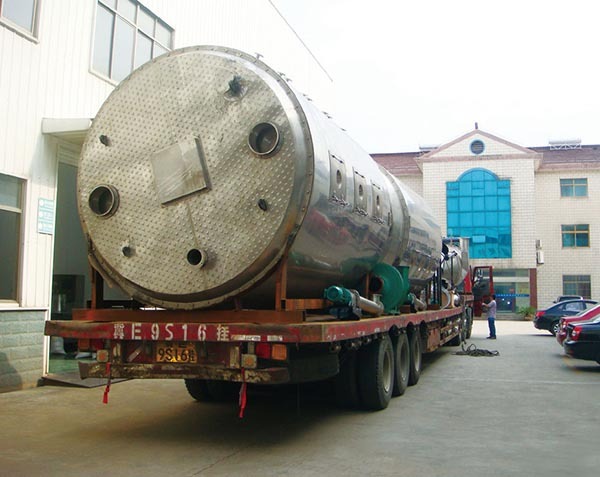 It is often found in the production facilities of chemical, pharmaceutical, agrichemical and food enterprises. 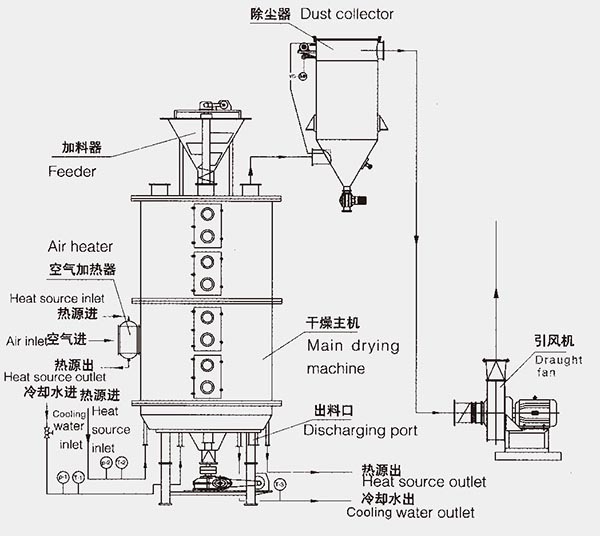 The drying device comes in three types, normal pressure, closed, and vacuum. The machine can be constructed from carbon steel and stainless steel for contact parts, steam pipes, the main shaft and body. With a drying area of 4-180 m2, the drying units have a significantly large capacity. We also produce various auxiliary devices that can be added to make the machine more suitable for even more applications. 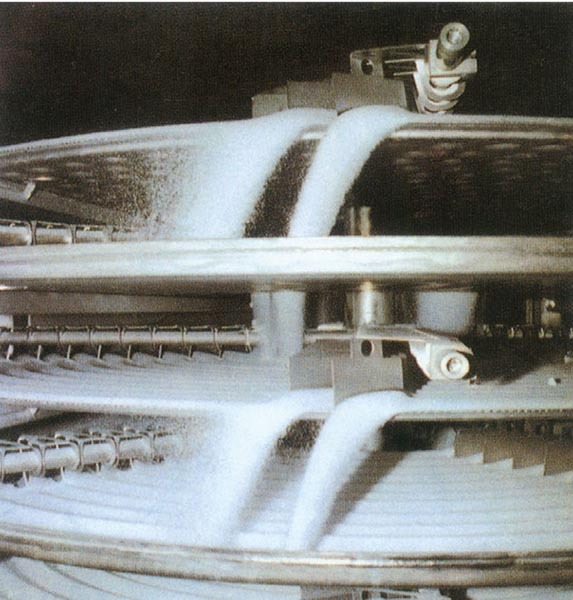 The continuous plate press works by feeding the material into the top drying layer where the mixture will be stirred by harrows on a rotating arm and heat will be applied. The material flows through the surface of the drying plate along the helical structure. Material on the exterior edge of the plate drops down onto the drying plate below. It is then moved inward and drops down a central hole to the small plate on the next layer. The plates alternate between large and small as the material drops further down so as to adequately mix the material as it dries. The dried product is finally discharged from the bottom layer at the discharge port. 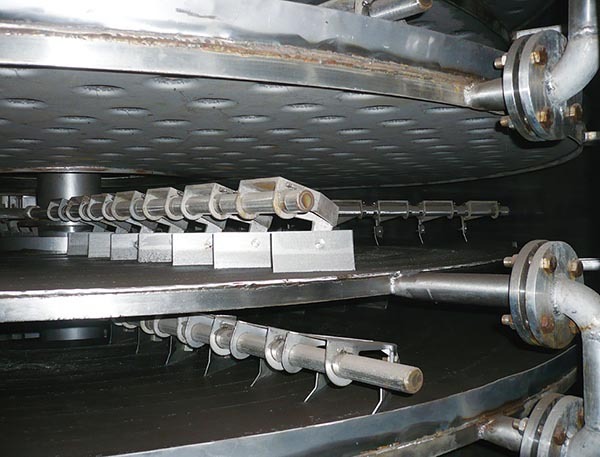 The continuous plate dryer uses saturated steam, hot water or conduction oil to transfer heat to the drying chamber. All of the evaporated moisture from the material is discharged by vacuum and sent through an exhaust port in the top cover. 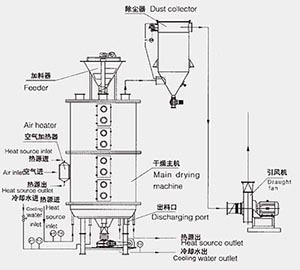 The drying quality of the device can be increased by adding supplementary devices such as a finned heater, condenser (for solvent recovery), bag dust filter, suction fan, etc. (1)	By regulating the thickness of materials, rotating speed of the main shaft, number of harrow arms, type and size of harrow, the user can achieve the ideal drying effect. (2)	Each layer of drying plate can be fed with hot or cold media individually to heat or cool materials accurately and easily. (3)	Operating time can be precisely adjusted to receive the desired finished product. 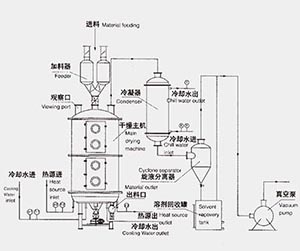 (4)	Single flowing direction of materials without return flowing and mixing Uniform Drying, steady quality and no need for remixing. (4)	The low speed of the main shaft and the low amount of materials handling at any given time lead to a low level of energy consumption. 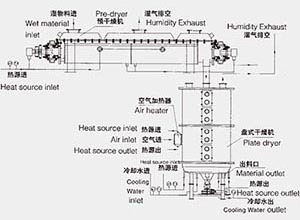 (6)	Normal pressure type: minimal air flow within the plate dryer prevents dust that forms at the end of the process from rising through the layers and leaking from the top of the device. 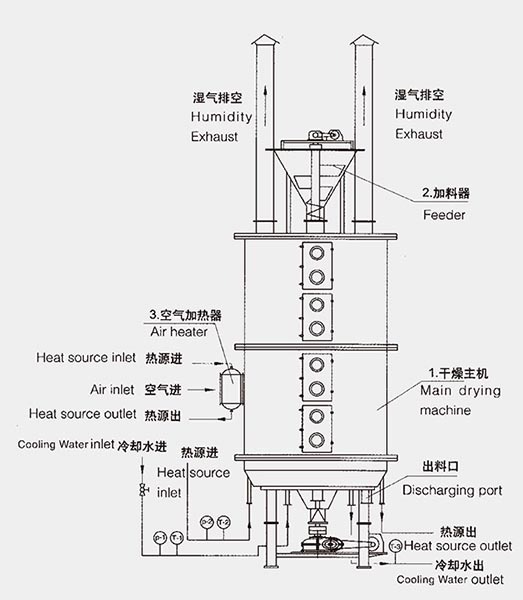 (7)	Closed type: equipped with a solvent recovery device that can recover organic solvents moist-carrier gases. 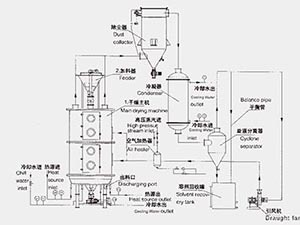 The device has a high recovery rate, and nitrogen can be used as a moist-carrier gas in closed circulation for materials subject to burning, explosion and oxidation as well as poisonous vapors. 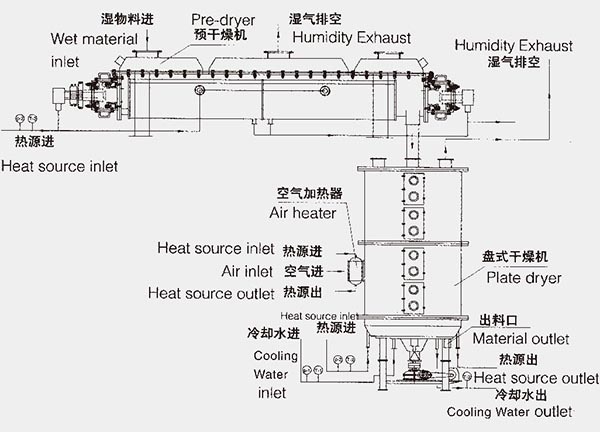 (8)	Vacuum type: if the plate dryer is operating under a vacuum state, it is particularly suitable for drying heat sensitive materials. (9)	As the dryer is delivered whole, it is quite easy to install and configure on site. (10)	As drying plates are arranged by layer and installed vertically, it occupies a small area but still has a large working capacity. PVC resin, polytetrafluoroethylene resin, fumaric acid, anthraquinone, nitro anthraquinone, p-aminophenol, melamine, cyanuric acid, sulfanilic acid, antioxidant 168, antioxidant 1010, naphthol As, stearate, aniline, nitrobenzene, Dipentaerythritol, chlorinated paraffin, calcium formate, triethylenediamine, benzene sulfinate, isophthalic acid, dimethyl five sodium, sulfur urea, oil soluble nigrosine dyes, acid black dyes and other organic chemical raw materials and intermediates. Precipitated calcium carbonate, calcium carbonate, nano-scale ultra-fine calcium carbonate, magnesium carbonate, aluminum hydroxide, strontium carbonate, barium carbonate, sodium sulfate, potassium carbonate, lithopone, sodium hydrosulfite, barium sulfate, potassium sulfate, microspheres catalyst, magnesium hydroxide, copper sulfate, nickel sulfate, nickel acid amine, sodium molybdate, sodium chloride, potassium chloride, cryolite, red iron oxide, lithium hydroxide, nickel hydroxide, zirconium hydroxide, calcium phosphate, sulfur and so on. Ampicillin toxins, Deng salt, L-phenylglycine and intermediates, cefotaxime, ceftriaxone, dipyrone, cimetidine, vitamin B12, vitamin C, benzene Hein, pharmaceutical salt, pharmaceutical aluminum hydroxide, caffeine, tea, flower extract, ginkgo biloba, chocolate powder, starch, corn germ and other raw materials and pharmaceutical intermediates. Potassium carbonate, biological potash fertilizer, protein feed, feed chlortetracycline, mycelia, bran, distillers, grains, seeds, herbicides, cellulose, feed calcium hydrogen phosphate. 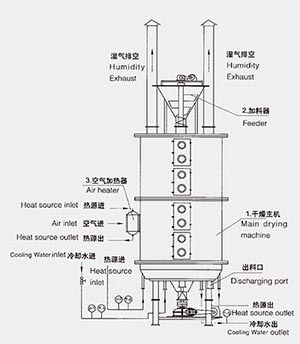 (3) Heating medium: hot water, thermal oil; using hot water for heating when drying tray temperature is less than 100℃, using steam for heating when its temperature is 100℃-150℃, using thermal oil for heating when its temperature is more than 150℃. Rotation speed: 1-10rpm/min, electromagnetic or variable frequency stepless. Rake arm: 2-8 rake arms are fixed on the spindle in each drying plate. Rake blade: connected with rake arm, it has various forms for contacting drying plate. Roller: equipped with roller can enhance heat transfer and drying process. There are three types: common type, sealing type and vacuum type. Common type: cylindrical or octagonal column, it has integral structure and split structure. The main pipe of heating medium can be installed inside or outside of the housing. Sealing type: cylindrical housing, it can withstand 5Kpa internal pressure. The main pipe of heating medium can be installed inside or outside of the housing. 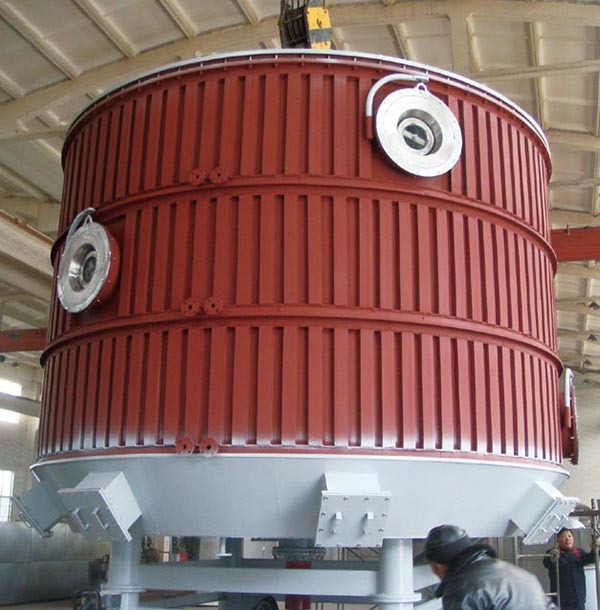 Vacuum type: cylindrical housing, its design pressure is -0.1Mpa. The main pipe of heating medium is installed inside of the housing. Usually used in the case of a large amount of evaporation to enhance the drying efficiency. 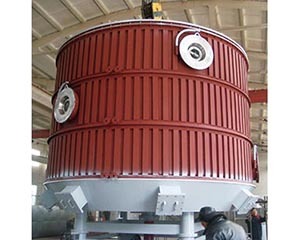 Applicable for drying material with requirements of powder recovery or the powder is toxic. 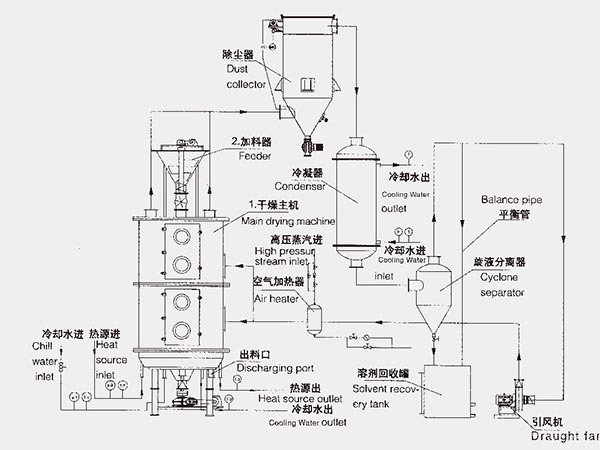 Applicable for the drying process with solvent recovery or without leakage of evaporated gas. Applicable for drying adhesive or paste-like material. 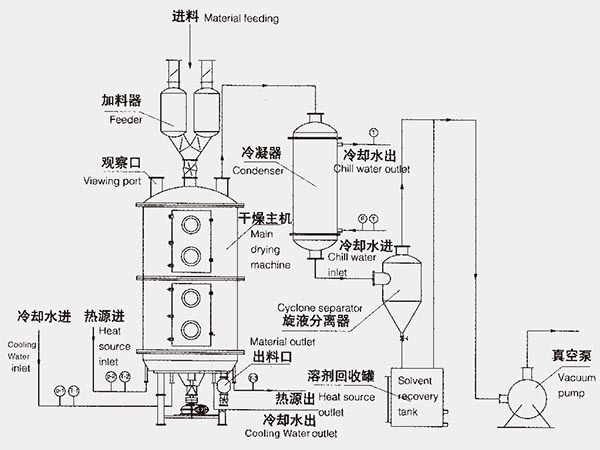 Applicable for drying heat sensitive material.